A must exciting income opportunity,steady flow of income monthly and hassle free return of investment. Awaits to all investors willing to purchased a house and lot in Riviera Villas and enroll their unit to Property Management Enrollment Fee . 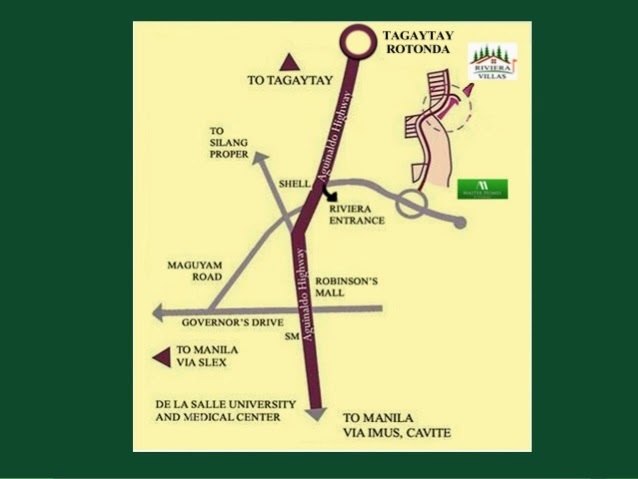 Riviera Villas is located along aguinaldo highway Silang-Metro Tagaytay, a 10 minutes away from the Tagaytay rotunda. Very exclusive gated community enclave inside the world class golf course in Cavite is now offering a great opportunity for the investor or a business person seeking their money to the next level of income opportunity . In partnership with Fuego Hotels a management company with an established expertise in managing hotels and resorts with full or limited-services. Hotel Serviced Residences this program steers away the traditional leasing options as they offer value added services to every guest and tenants. With this approach, property owners can expect more revenue as we cater to a market that is in need of special services and flexible leasing options. 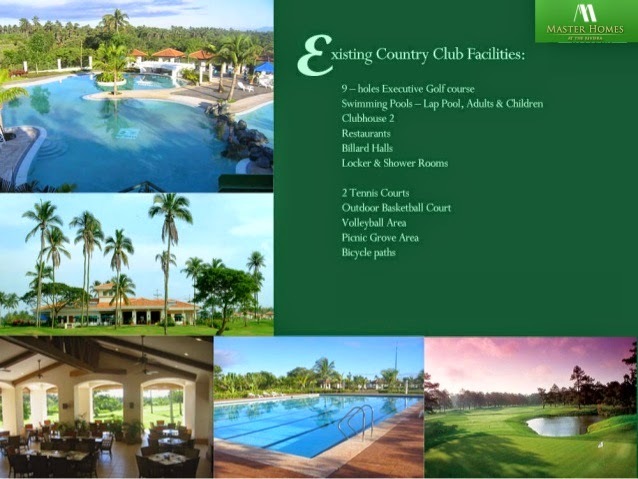 House and Lot purchase comes with one (1) Riviera Sports & Country Club membership. House and Lot package price varies depending on the lot size. 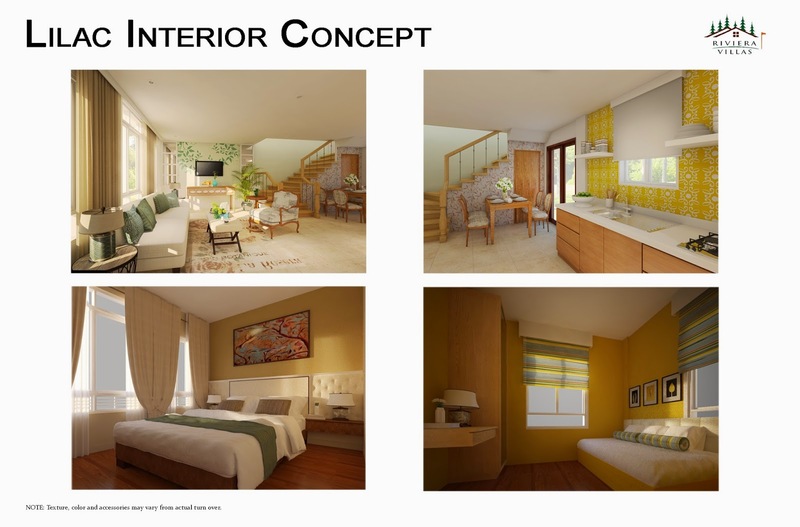 Riviera Villas will be handled and operated by Fuego Hotels . from the property owner in dealing with tenants'concerns. The management will be handle all the repairs for the property. It will be professionally maintained on a daily basis. on the property size . the properties are booked or not . standard package offered by Wyndhamm Realty . prior to arrival . A maximum of 30 days of usage per year is allowed. One of the most attractive feature is that the hotel property management will be the one to look for tenants/ guest so property owners will be relieved from the worries of looking and dealing with tenants. (wall frames,flower arrangements and trinkets) and hotel key card security system . 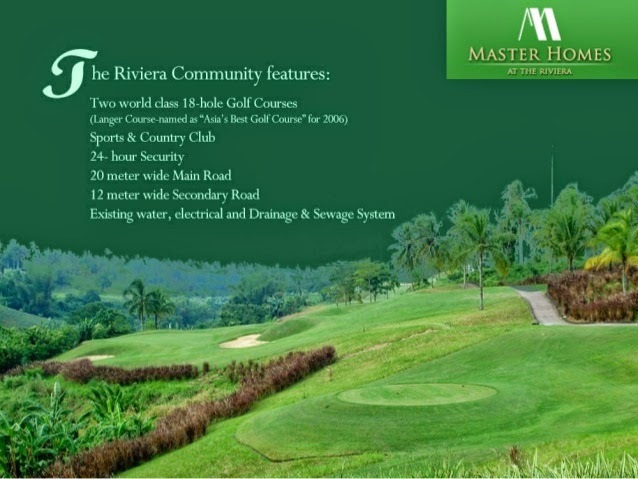 The Riviera Golf Club is an exciting concept unparalleled in the Philippines for its vision to be among Asia’s most outstanding golf courses which prides itself for having won Best Golf Course in Asia for 2006 and Philippines Best Golf Course for 2008 for its 18 hole Bernhardt Langer Course. This golf club is destined to be a golf Mecca and at the same time providing the ultimate in comfort and elegance. They are two championship golf courses await golf enthusiasts at The Riviera. Designed by past Masters Champions Fred Couples and Bernhard Langer . Riviera Villas and Riviera Golf and Country Club . In Riviera Villas whether you purchase a house and lot package and/or enroll in a property management enrollment fee program your money is worth granted from the home you'll chosen . A place where everything you need is in your community , a investment that will take you to a highest potential income in a hassle-free income opportunity .